Features recessed legs for added legroom and modesty panel for privacy. An ideal computer workstation. 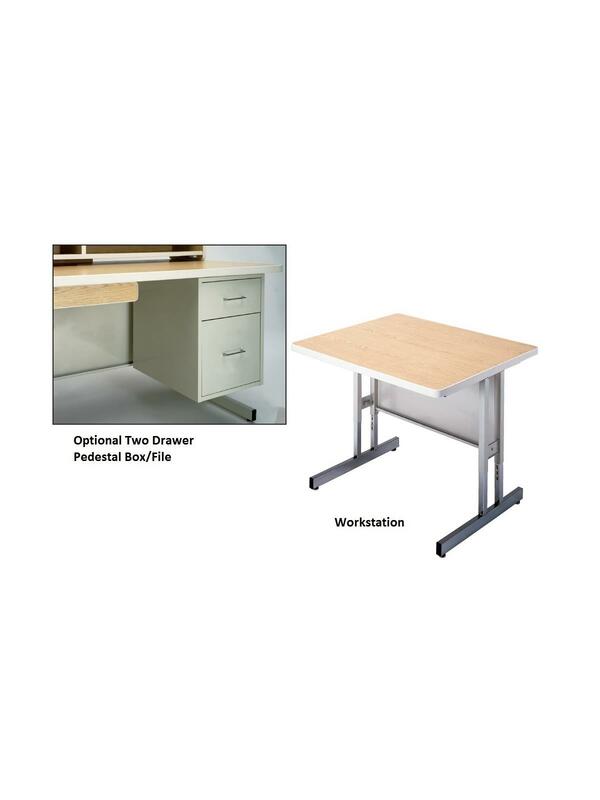 Available in fixed height or adjustable height - adjustment height tables adjust from 26" to 30" in 1" increments. Fixed height is 29" high with legs that are 1" x 2" rec., 18 ga. steel, baked enamel paint. 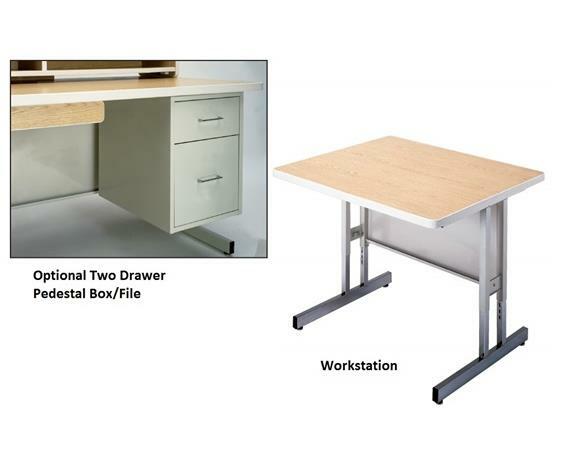 Adjustable legs are 1-1/4" sq., 18 ga. steel with chrome-plated finish. Particleboard tops feature a plastic-laminate surface. Adjustable leveling glides compensate for uneven floors. Easy assembly. Available in Steel Paint Colors - Black, Brown, Tan, Putty or Gray. FOB Shipping Point. Top Colors - Gray Nebula, Walnut, Light Oak or Gray. Edge Colors - Black, Brown, Walnut, Light Oak or Gray. See Related Items tab for Durable Workstation Pedestal.